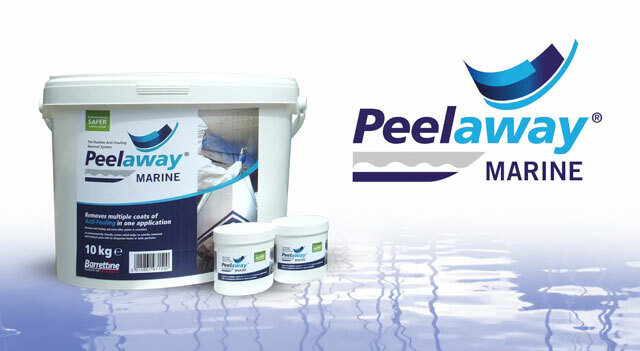 Peelaway Marine is specially formulated to safely remove multiple layers of anti-foul coatings with one application without damaging gel coat. Its patented poultice system allows the product to remain active and work without rapidly drying out. The special poultice blanket supplied also helps collect stripped paint and reduces boatyard contamination risk. Peelaway Marine is a light paste consistency and is easy to apply to vertical surfaces and difficult shapes. It can be applied with a brush or trowel and for larger areas an airless sprayer can be used. Suitable for most hull types including GRP, wood, metal & concrete. Always test a small inconspicuous area before applying generally.